Seabourn, the world’s finest ultra-luxury cruise line, continues its mission to intrigue and inform guests with an additional new series of Seabourn Conversations for the 2017-2018 cruise season. The popular onboard enrichment program will host distinguished speakers and personalities from a variety of fields including journalism, government, preservation and the arts. The Seabourn Conversations line-up is populated with both first-time and returning speakers and is featured on board Seabourn’s award-winning, intimate ships. Margaret Trudeau (Seabourn Quest, October 2, 2017) – The former wife of Canadian Prime Minister Pierre Trudeau and the mother of the current Prime Minister Justin Trudeau, she will share thoughts on Canadian politics and the global landscape. Paul Deegan (Seabourn Encore, October 25, 2017) – Award-winning author, motivational speaker, and veteran climber of mountainous regions on five continents, Deegan was co-leader of the first environmental expedition to Mount Everest at age 18. Arturo Sandoval (Seabourn Quest, November 5, 2017) – Award-winning and legendary jazz trumpeter, pianist and composer, Sandoval is one of the most dynamic performers in modern jazz. Richard Stone (Seabourn Encore, November 10, 2017) – As the Royal Portrait Painter, Stone has captured most members of Britain’s Royal Family on canvas, as well as leading members of society and the community. John Pizzarelli (Seabourn Sojourn, November 15, 2017) – The world-renowned jazz guitarist and singer, Pizzarelli is among the prime revivalists of the great American songbook, bringing to his work the cool jazz flavor of his brilliant guitar playing. 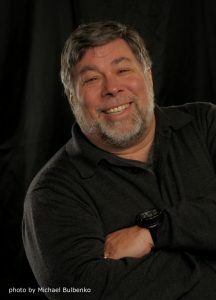 Steve Wozniak (Seabourn Quest, December 20, 2017) – Designer of the hardware, circuit board designs and operating system for the Apple I personal computer, Wozniak was awarded the National Medal of Technology by President Ronald Reagan in 1985 and the Hoover Medal in 2014. His autobiography, iWoz: From Computer Geek to Cult Icon, was a New York Times bestseller. Brad Goreski (Seabourn Sojourn – December 21, 2017) – No one knows what to wear better than celebrity fashion stylist and TV personality Goreski, co-host of Fashion Police on E!, brand stylist for Kate Spade NY, and author of the 2012 memoir Born to Be Brad: My Life and Style, So Far. Grant Harrold (Seabourn Encore, January 5, 2018) – “The Royal Butler” draws on decades of passion for good manners, including time spent in Royal Households and leading his own The Royal School of Etiquette and Butlers, to be Britain’s Official Etiquette Expert. 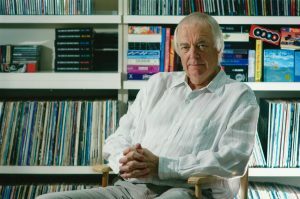 Sir Tim Rice (Seabourn Quest, January 13, 2018) – English author and lyricist Rice’s talent has earned him awards at the Oscars, Golden Globes, Tonys and Grammys. Knighted by Queen Elizabeth II in 1994, he is perhaps most renowned for his collaborations with Andrew Lloyd Webber on Jesus Christ Superstar, Evita and more. His production show, An Evening With Tim Rice, is currently playing fleet wide on all Seabourn ships. Jeffrey Archer (Seabourn Encore, August 18, 2018 and August 25, 2018) – An Oxford alum and member of Parliament who wrote his first novel, Not a Penny More, Not a Penny Less in 1976 at the age of 34. He has gone on to write many more novels and is now published in 97 countries and more than 33 languages, with international sales surpassing 330 million copies.